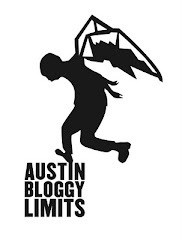 AustinBloggyLimits - An Austin Music Blog: Quiet Company / Baroness TONIGHT! Quiet Company / Baroness TONIGHT! I don't know if you're the type of person who goes out on a Monday night, but if you are you've got two pretty stellar shows to choose from. Local power-poppers, Quiet Company will be headlining the goings-on at the Parish Room this evening. I noticed that Quiet Company got a nice little feature on page D1 of the Austin-American Statesman today, to which I say, "Huzzah Quiet Company, huzzah". Seriously, no one expects the print edition of the Statesman to feature any relevant, local, non-prehistoric musicians so when they do, I say, "Huzzah". Grab yourself a copy of Everyone You Love Will Be Happy Soon at any of Austin's High Fidelity-esque record shops. Don't worry though, you can enjoy Quiet Company from afar as well. That other video is prettier and newer and it's the second "single" but I still really <3 the first "single". If somewhat twee, jolly, power-pop isn't really your thing, you may want to head over to Emo's to check out Baroness. Or, hell, Emo's shows usually start late, you can probably catch both shows, since Parish shows end early. It is Monday though, so maybe you should just pace yourself there cowboy. I feel like the song title, A Horse Called Golgotha pretty much sums up any questions I might have had about Baroness now I clearly know what genre I'm listening to. I wouldn't dare offend anyone by being more explicit here but let's just assume these guys enjoy the Lord of the Rings series and that their music is epic-metal. For me? I'm a pop person, I would rather have my face smiling than melting. Call me the "p word" I don't care. You may see whatever you want to see, dear reader, for this is not only America, it's Austin. muthaf**kin', Texas y'all!! !